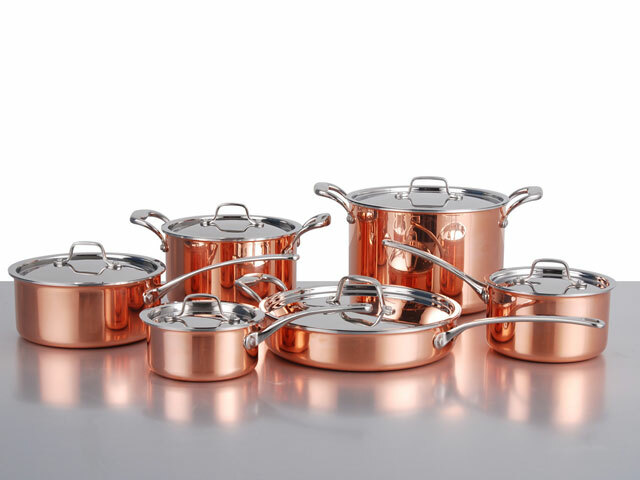 SIMCO manufactures, exports and supplies all types of copper and copper coated utensils and kitchenware.Copper is a very good conductor of heat and is shiny in appearance. Because of these properties it was the preferred material for kitchen utensils. But its use is now confined to just outer layer of kitchen pots that are used in cooking. Copper toxicity is reduced to zero by using stainless steal lining on the inner side of the vessel. 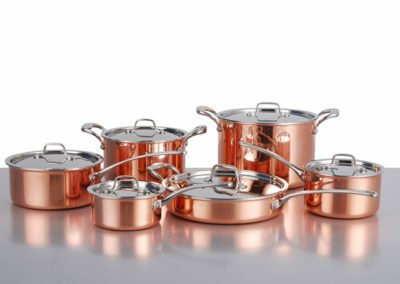 It is recommended by National Academy of Sciences to eat 700 micrograms of Copper each day. Food and water stored in copper vessels is beneficial to the liver and brain. 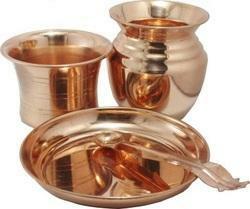 Copper utensils are also used in temples. Corporate office: 6/10 Shree Halai Lohana Mahajan Wadi, Office no. 4&5, Dr. B.J. Marg, Mumbai – 400002.